Prestige Garment Care offers a gentle cleaning process for those who are environmentally conscious and prefer “green cleaning.” Investing in our future includes using the latest techniques and technology, and this involves using Green Earth solvent – a silicone based solvent- for our dry-cleaning services. This silicone based solution is essentially the same as liquefied sand. The same safe, natural sand the Earth has been creating for over 6 billion years. This silicone is found in most household cosmetics such as shampoos and lotions. Green Earth solvent is chemically inert which means it does not interact with your garment, it merely carries a detergent to them, then carries the dirt away. Further, we can pick up your dry cleaning refuse such as hangers, plastic, tissue paper, and have it all recycled accordingly. 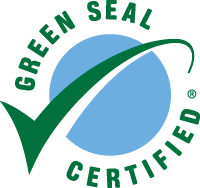 We also offer housekeeping services which utilize Green Seal Certified products which will leave your home clean and harmless to the environment. We are certified by the Dept. of Environmental Conservation and hold certificates in environmental dry cleaning technology since 1999. With over three decades of experience, you can trust Prestige in caring for your garments and home while protecting the environment and providing an outstanding finished product. GreenEarth solvent not only protects the Earth, but it also protects the quality of your garments! Fresh – leaves no odors in clothes after cleaning. Fabrics feel softer and more luxurious. Gentle on delicate silks, sequins, beads, lace, and trim.